On the left, the Emperor Caligula, one of the most famous - and notorious - rulers of ancient Rome. 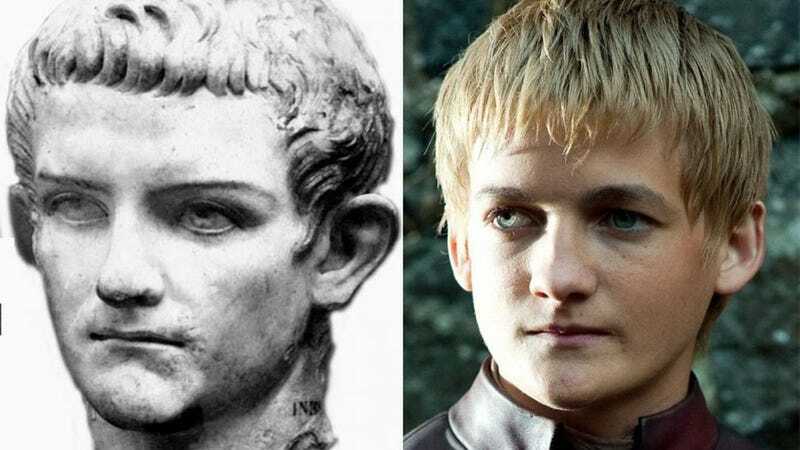 On the right, Jack Gleeson as Joffrey in the Game of Thrones TV series. It's a cute likeness if the physical likeness is all you see. But Caligula has long held a reputation - one that, to be fair, is being dialled back substantially by modern research - as one of Rome's most debauched public figures, a man renowned for depravity, sexual excess and cruelty. Just like Joffrey. And yes, before you ask, the bust on the left is real, not a Photoshop job. Here's an alternative angle.